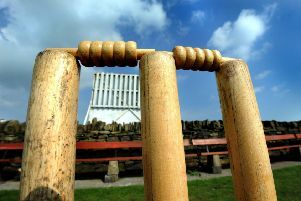 There will be an all-Calderdale clash in this year’s Solly Sports Heavy Woollen Cup first round. Huddersfield League pair Barkisland and Rastrick will meet after all this season, following the former’s promotion back to the Premiership. Barkisland will have ground advantage for the tie on Sunday April 21. Elland, who play alongside Rastrick in the Championship, have re-entered the competition and will host Gomersal, who play in Championship One of the Bradford League. Woodlands host Huddersfield League champions Hoylandswaine in perhaps the tie of the round while Hanging Heaton begin their defence with a trip to Huddersfield League side Shelley. First round: Farsley v Wrenthorpe, Shelley v Hanging Heaton, Elland v Gomersal, Townville v Birstall, New Farnley v Crossbank Methodists, Elsecar v Scholes (H/L), Barkisland v Rastrick, Methley v Wickersley Old Village, Treeton v Cawthorne, Ossett v Shepley, Woodlands v Hoylandswaine. Byes: Whitley Hall. Barnsley Woolley Miners, Spen Victoria, Buttershaw St Paul’s, South Kirby. Ties to be played Sunday, April 21.